The use of mathematical modelling and computer simulation can vastly improve the quality, efficiency and economic success of textile technology. 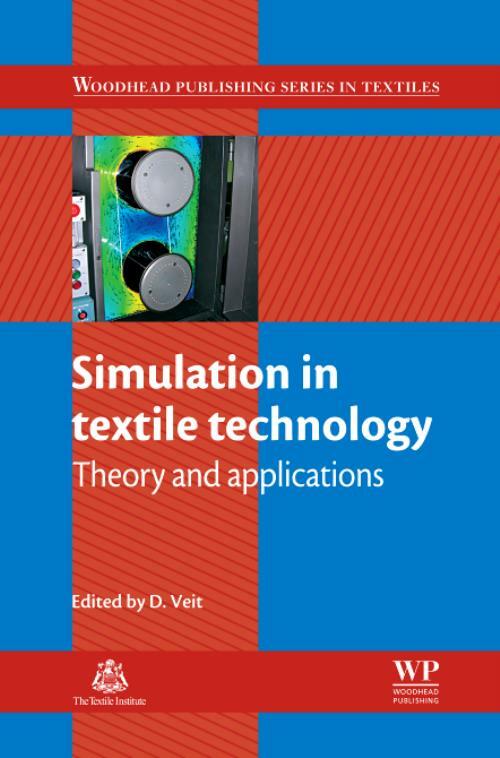 Simulation in textile technology provides a comprehensive review of the key principles, applications and benefits of modelling for textile production. After an introduction to modelling and simulation, Simulation in textile technology goes on to review the principles and applications of the main types of model. The book first discusses neural networks and their applications before going on to explore evolutionary methods and fuzzy logic. It then considers computational fluid dynamics and finite element modelling. The modelling of fibrous structures and yarns are considered in the following chapters, along with wound packages, woven, braided and knitted structures. The book concludes by reviewing the simulation of textile processes and machinery. With its distinguished editor and team of expert contributors, Simulation in textile technology is a valuable reference tool for all those involved in both developing models of textile processes and those applying them to improve process efficiency and product quality.